They also picked two winners from their poll. Congratulations to Jan Lawrence and Shawn Romines! Ripple Junction will be contacting them. We will pick our winners from all the Comments left below shortly and announce them on Sunday May 12th, 2013. The folks at Ripple Junction, one of the largest purveyors of licensed apparel in the world, have partnered with Huy Fong Foods, makers of the famous Tuong Ot Sriracha Sauce (Rooster sauce), to create a new line of tee shirts that any Sriracha Sauce fan would love to own. And now you could win one for yourself! 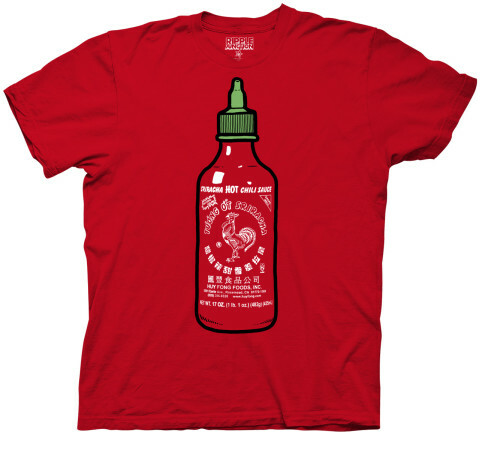 You will see samples of at least 12 new designs of Sriracha tee shirts that you can vote on. Simply enter your name, email address, who sent you (HOTSAUCEDAILY of course!) and vote on each design, for a chance to win one. 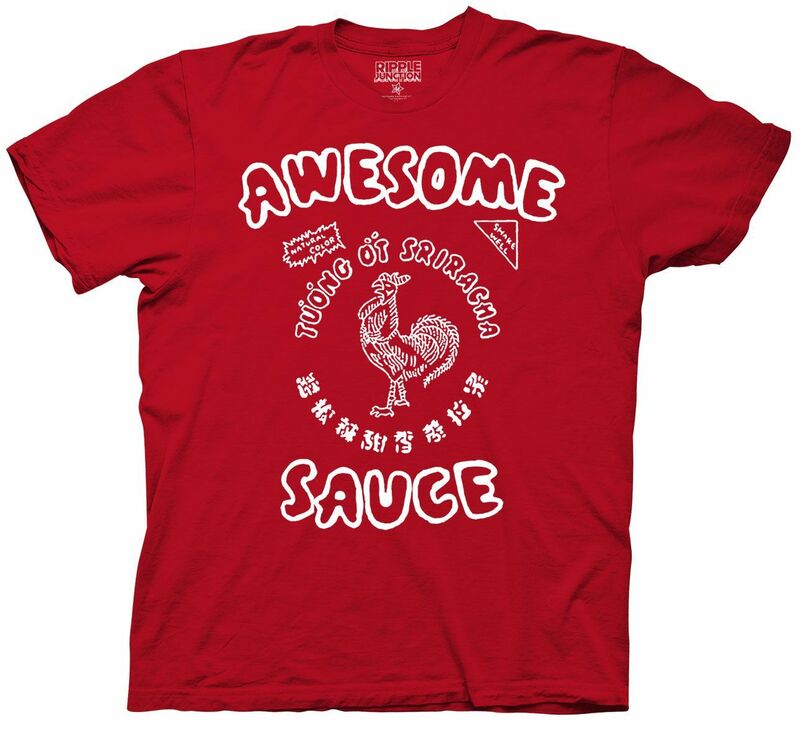 I think you will be pleased with the designs that Ripple Junction is offering, and when the shirts actually go into production, we will be offering a Second Chance contest here at HotSauceDaily.com for some Authentic Sriracha tee shirt giveaways ourselves, courtesy of Ripple Junction. We can’t show you the design offerings here, but the short survey (it took me about 60 seconds to complete) has them displayed in all of their colorful glory. Here’s the survey link again: http://surveys.questionpro.com/a/t/ACjVwZPce3 and don’t forget to put “hotsaucedaily” in the Who Brought You Here? box. UPDATE: The Survey and your chance to enter ends Friday May 10th! They will pick one design from all of the opinions – and may include the original Tuong Ot label as well.